Irish life-sciences startup, Genomics Medicine Ireland (GMI) has secured Series A investment of $40 million from sovereign and international investors including ARCH Venture Partners, Polaris Partners, the Ireland Strategic Investment Fund, and GV (formerly Google Ventures). The investment will be used to establish a world-class genomic research and development program in Dublin and to create 150 highly-skilled jobs focused on advanced genomic research over the next three years. This investment will enable GMI to undertake comprehensive population-scale genome studies. These will improve understanding of the genetic and lifestyle factors involved in disease, contributing to better diagnostics, more targeted therapies, and more effective prevention and wellness. GMI expects to announce its first collaboration with an Irish hospital in the coming weeks and is actively engaged in talks with a number of clinical collaborators nationwide. 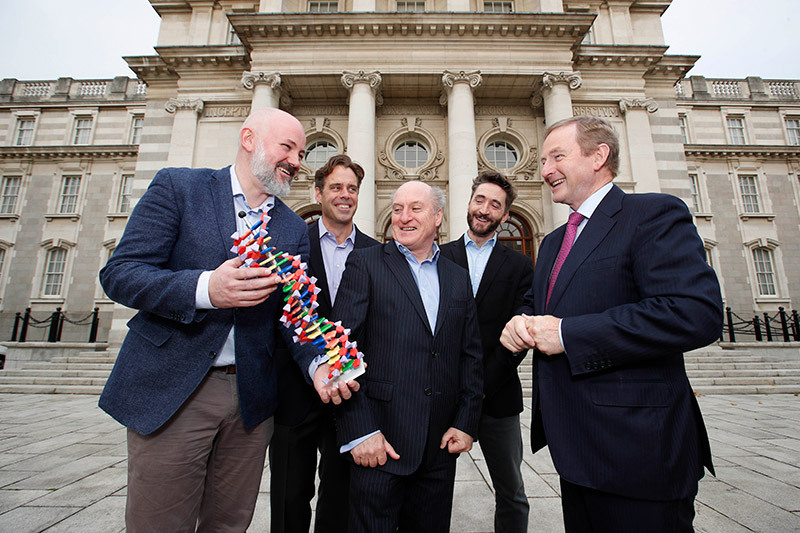 Genomics Medicine Ireland is creating a scientific platform to examine the human genome in order to better understand the role of genetics in disease and rare conditions, and to lead to new prevention strategies and treatments. The company was founded in Ireland last year by a group of leading life science entrepreneurs, investors and researchers, and now includes, among its founders, Amgen. The GMI platform is based on the pioneering work of Amgen’s subsidiary, deCODE genetics, in Iceland, widely recognized as the birthplace of population genomics. deCODE’s approach, led by its founder and CEO Dr. Kári Stefánsson, has proven that population genome studies offer an effective system for elucidating the underlying biology of major diseases and identifying new drug targets. The application in Ireland of the approach pioneered at deCODE will further broaden the power of this model to make and validate such discoveries and apply them to benefit patients.